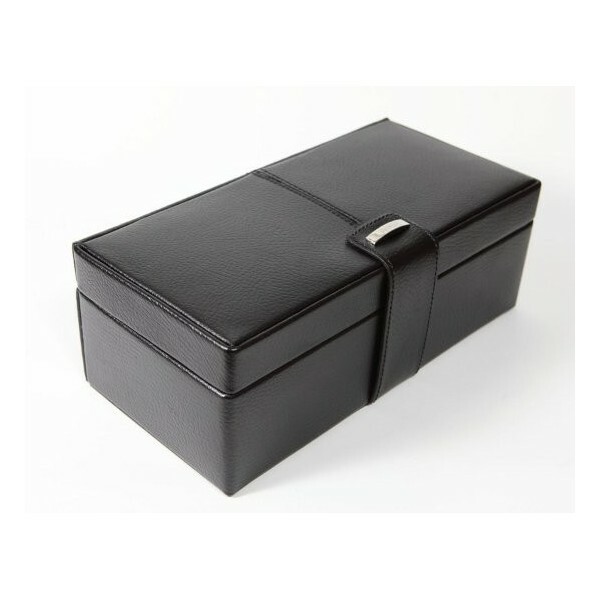 Black leather double watch box with 9 piece, removable cufflink tray. 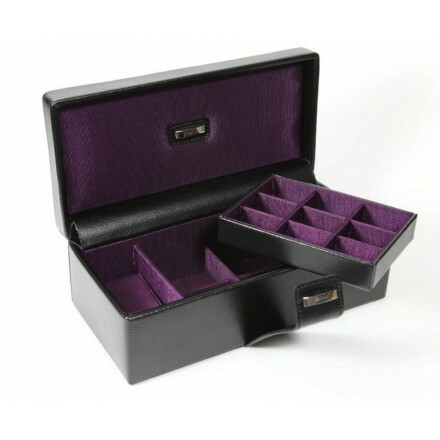 With purple grosgrain lining. Size : 25 cm (W) x 9 cm (H) x 12 cm (D). Space to store two watches on padded removeable ovals, with removable cuff-link tray. Size : 25 cm (W) x 9 cm (H) x 12 cm (D). Ideal present. Comes boxed.